In the past few months we’ve been hard at work improving Pipe and adding new features but at the same time we also worked on an integration with WordPress that would allow webmasters to take advantage of Pipe’s awesome video recording capabilities. 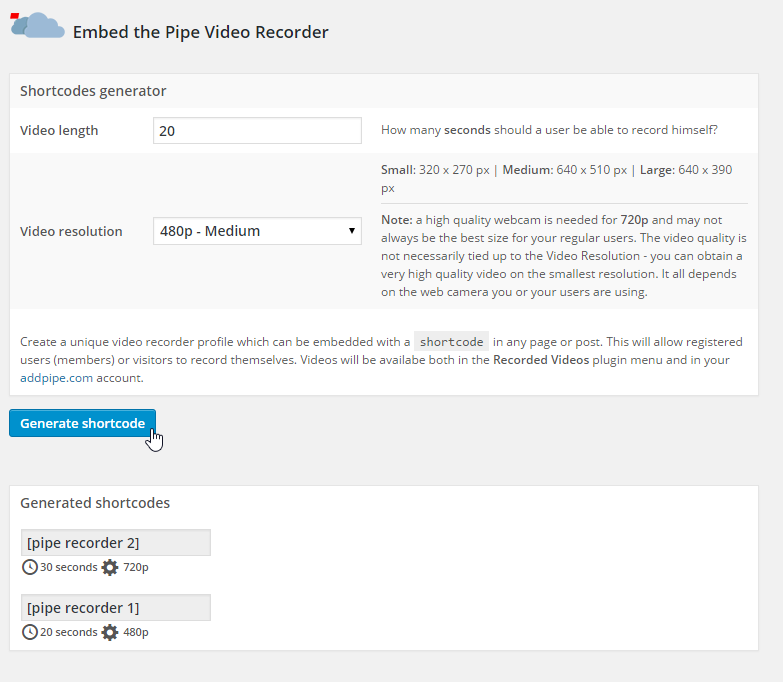 The new Pipe Video Recorder Plugin for WordPress is now available for free on WordPress.org. Let me walk you through a quick installation and setup of the plugin. The next thing you want to do is insert your account hash, which you can find in your Account Settings at addpipe.com. Now go to the My Account section and click on the Webhook tab at the top. In the Webhook URL field type the address of your WordPress installation. In this case it’s https://blog.addpipe.com/ – just change it to match your scenario. Important: make sure the URL ends with a trailing slash “/”! If you don’t already have a Pipe account you can request an invite here. Go to the section called Embed Video Recorder and click on Generate Shortcode. Done! You can now paste the shortcode into any post or page where you want the video recorder to appear. Want to try it on your own website? 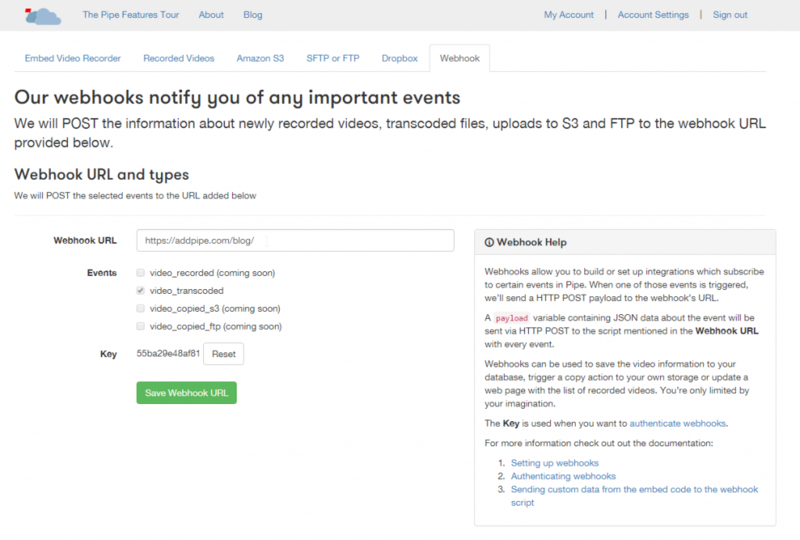 Click here to download the Pipe Video Recorder plugin for WordPress.